Discussion in 'Downhill & Freeride' started by whitermx, Jan 8, 2008. I currently ride a 2006 rocky mountain rmx and I am looking for a better brake than the one that I currently have (xt 4 pot, to much fade). I weigh 200 pounds and I do long dh descnets . The two main brakes I am considering. 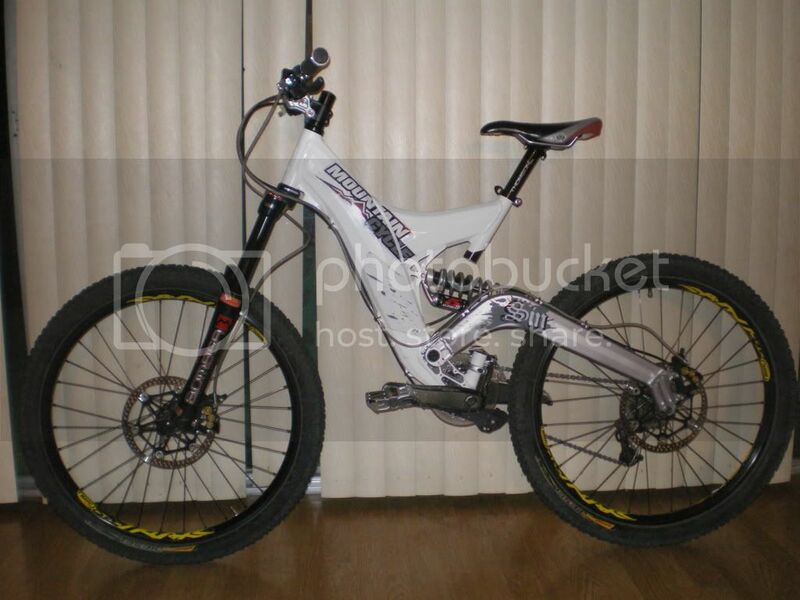 are the 2005 Hope Mono 6ti and the 06 Magura Gustav m.
that I am making the correct decision since this is a major purchase. and a five year leak proof warranty, which wont help me cuz ill get second hand, still shows its a great brake . Since both brakes are very similar in price within a couple dollars of each other, I was wondering if the Magura brake is really have more power and for longer for longer with no fade compare to the ti6. 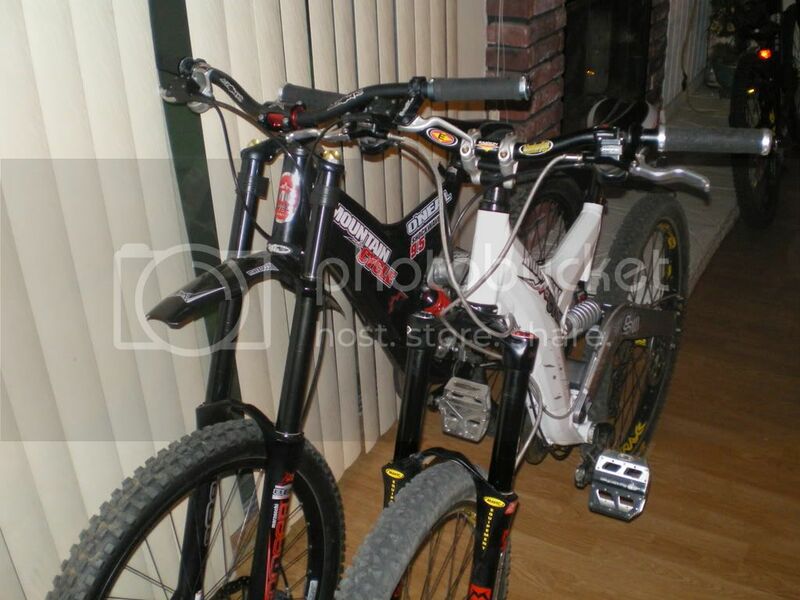 Please help me make my decision as I want to buy these brakes so I can ride once the snow melts. which brake will be fade free? Formula The One is better and lighter, IMO. i dont care about weight!!! 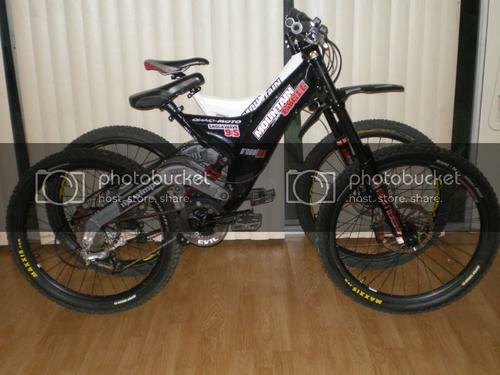 i dont know any of the formula brakes, so if you can give some more info it will be great . I have run mono6ti's for a few years now. They have worked superbly for me and were great in the alps suffering no fade or loss of performance on the long descents there. Power wise they are probably overkill for me at 70kgs on a 40lbs bike - very progressive brake though with great modulation. not sure about the 6 pot, but i ran a magura gustav on my sunday and HATED THEM, put on hope mono mini (yeah the xc brake) and they worked so much better. If you can set up hopes they are the best brake out there. Formula has a new brake coming out this year called the One. It is very powerful and super light. 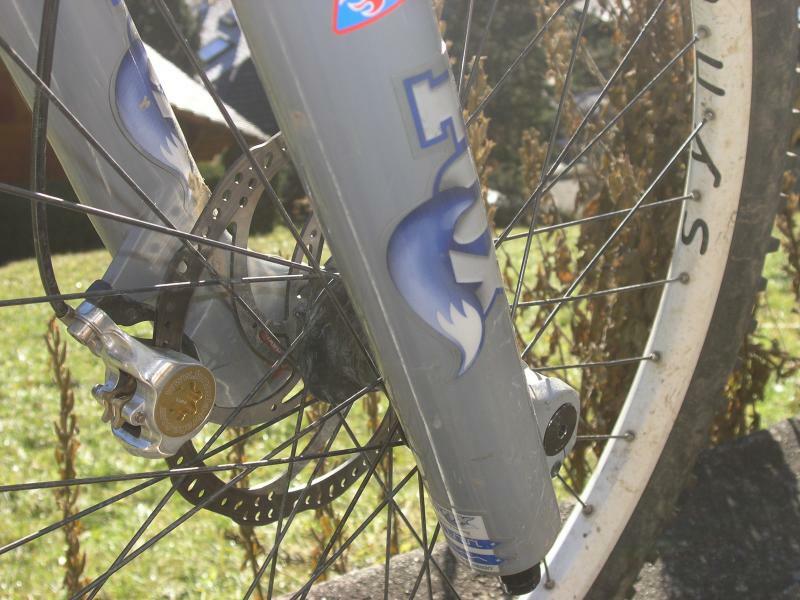 I have ridden most of the brakes out there and live in one of the biggest lift accessed bike parks in the world (Champery of the Portes du Soleil) so I feel like my friends and I know what works regarding brakes. The One is the most resistant to fading and most powerful brake we have ridden. Here are some pics of mine. BTW, I regularly ride 3000 to 6000 vertical foot runs so they would have plenty of opportunity to heat up but they don't. 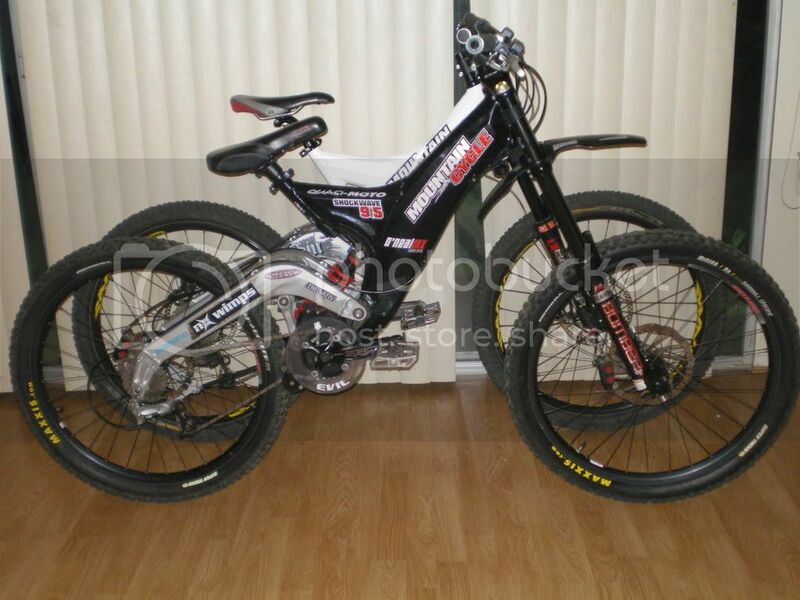 If you want Hopes then I would look at the Moto V2 instead of the 6Ti which have a poor trach record around here. i wish i had the money for a new brake system. I've been using gustavs for 3 years. Great stopping power, they fade only if you completely burn your disc. Very little issues with them, easy to maintain and hard to break. But if you want stopping power formulas + goodridge hoses + ebc brakes might be very good as well. no i dont burn my rotors any more. so the Formula ORO K24 Breakset will be better then the 2 i mentioned? Get the Formula "The One" over the Oro. The bigger diameter caliper piston is loads better and the Oro is already good. Well formulas will have less stoping power but if you set them right(dunno how much it would cost the way I did is as I'm euro) they should be enough and will be much lighter. But if you don't want to play like that then go for gustavs. Even used ones should be in great shape. Very durable. I may be the minority but I say buy anything but hope. I ran their mono trial brake on my trials rig (supposed to be THE BEST in the game) and 2 of the 3 that were sent to me leaked. One really bad, and one slowly. Granted, once they were set up and fixed they worked well, I still don't necessarily feel great recommending them. My buddy also runs the 6 piston hopes and I hate them. Lots of power, yes, but terrible, mushy, lever feel and tons of drag. I have also heard of fade problems with them. Between the 2 go HOPE 6ti. I weigh 240 and ride hard long NW descents in the passes as well as LONGF STEEP single tracks (Slate creek lookout) and till I rode my formulas nothing compared to my tried and true 6tis. If my formulas fail back to the 6tisd I go, NEVER HAD A PROBLEM! If hopes are fitted, adjusted and bled correctly the lever feel is rock solid, there is no drag and performance is fantastic: I think your freind needs to spend sometime setting his brakes up. My oro's did take very little time to setup/install etc which is a bonus - but i am yet to try my oro's on 'alpine' descents where my m6ti's performed flawlessley run after run. Can anyone tell me what the weights of the brackes are? and if ill get some it will be 07.
from what my friends sey. they arnt that great "for the long run". from what i read , its all about a good bleed and adjusting them right. i like fixing my bike and built each part by my self. ill have lots of time till snow melts to make them feet right. i think ill go for the ti6 then. And to Whitermx... I am running the XT 4pots on my 7pt and the gustavs are still noticably better. Also, you mentioned that the Hope 6's have a floating rotor, but you didn't mention that the Gustav's have a floating caliper that will do the same thing. Formulas are awesome brakes, especailly as a lightweight option but I still like my 6ti's better. There's just a certain "finger-feel" that I just haven't found in any other brake. To me, the 'finger-feel' is just what it comes down to, unless it is severley lacking power like somethings broken or something. I've decided to go with Gustav's on my Brooklyn RaceLink for this very reason. in the end i found some sick deal on gustavs. so hell ya i couldnt let them go to some one alse. can somone tell me why all my pics got deleted? If I had to choose between the two, the Mono 6ti is better overall. More than adequate power, excellent modulation & lever feel, lighter weight, & bling factor. However if the Gustavs have better levers (like the Dangerboys) then I'd pick it over the Mono 6. 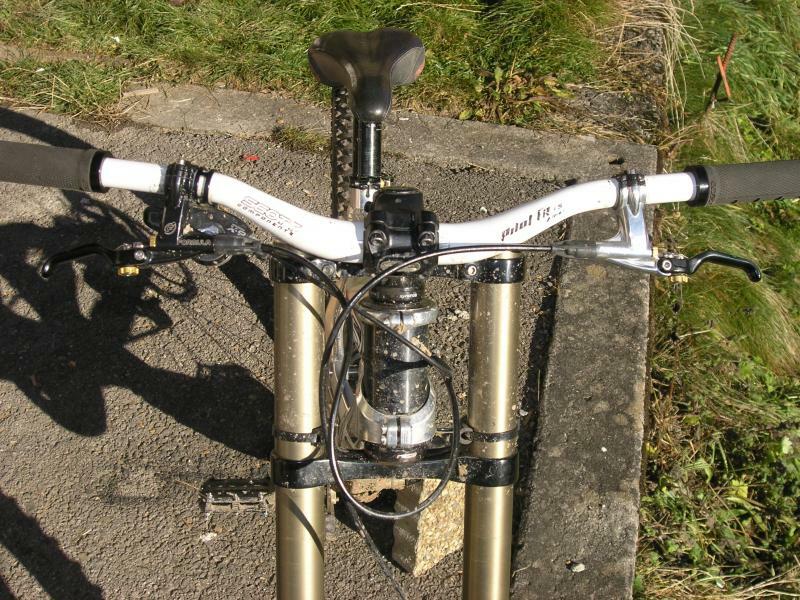 The lever of the Hopes encourages more single finger braking while you have no option but do double finger braking on the Gustavs due to the long levers. 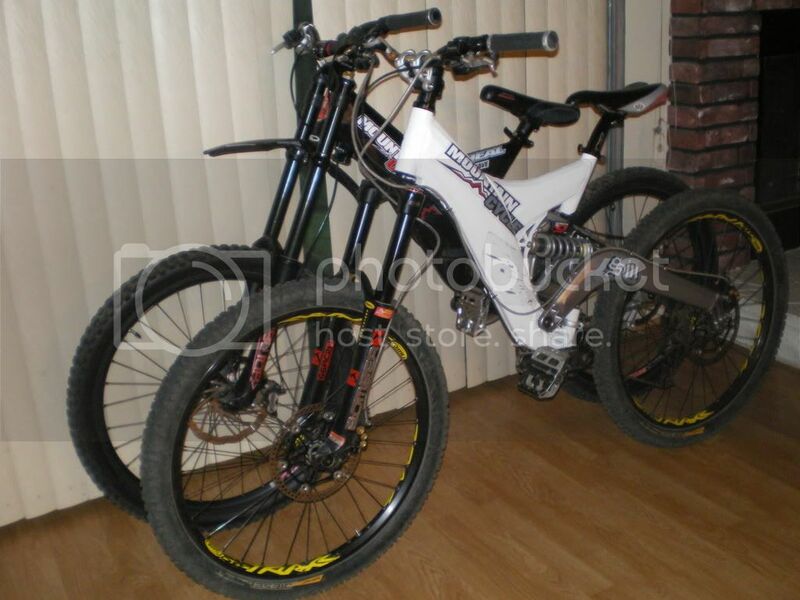 which bike you like better? where can i get db levers for my gusavs? I like the Shockwave better than the Sin. 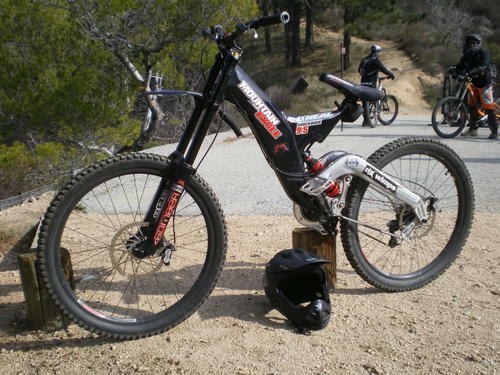 As a Full DH/Xtreme FR bike, the Shockwave excels in it's category while the Sin in just so-so for AM/light FR. I saw some a Ebay previously for $65, but never bothered to spend because I got used to the levers. Also installing it is not as simple. 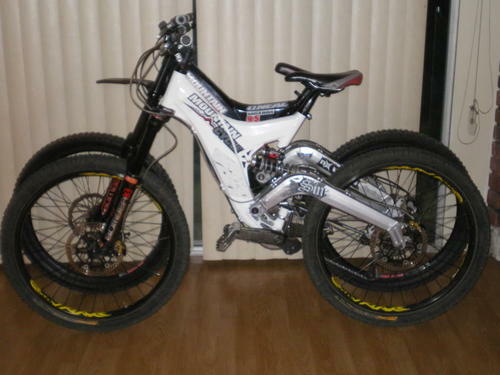 Several posters seem to think that a DH bike needs more breaking power than an XC/4X/DJ/whatever because a DH is heavier. The weight has very little to do with it. The bigger brakes are mostly due to use (going DH) and also due to the much greater traction a DH bike has vs a bike with less suspension and smaller tires. 6tis are not worth it, heavy and not significantly more powerful than anything else (hope themselves claim the power is the same as the M4). Codes have more power and modulate just as well. Gustavs have larger rotors (210mm vs 203mm) and more fluid capacity so they will resist fading better than other brakes. Of the systems that have been around for a few seasons these are the best bet. I've been running these for a year now and wont run anything else. Only go for the DangerBoy levers if you want to pimp your levers up. A lot of people don't know this, but you can get the 2-finger ally Julie lever blades that will fit into the Gustav Lever Body. Just order a pair from your local bike shop. I have got a set on my gustav's and they are real nice to use and less prone to crash damage as they don't stick out as much (plus I run my levers real lose so they can move). on my first run this year in vegas, i had a little slip on a rocky trail(bootleg canyon). the right lever already got some play up/down !! my lbs want 90 bucks for db blades. I've run pretty much all the mono series on bikes over the last couple of years, and can safely say never again. I've never run such a temprimental brake. Drove me nuts. Bled countless times, tried various different pads, still nothing like the performance I expected. I can only recommend the Gustav's, have only only ridden once with a set, they really are a monster brake, but pretty heavy (comparable to the 6Ti though). Magura come with a 5 year warranty too, which is an indication of reliability. The seller has 3 sets for sale at time of post.